Is India prepared for demonetisation 2.0? Phasing out the Rs 2,000 note makes sense, but it should be done with caution. Demonetisation 2.0? That might happen soon. According to reports, the Reserve Bank of India has stopped printing the Rs 2,000 currency notes altogether and will not be bringing in new notes in the current financial year. The last few weeks saw a shortage of Rs 2,000 notes. Many attribute this scarcity to cash-hoarding, given that it is easier to hoard black money in Rs 2,000 notes as compared to other denominations. But is that all? If the government really plans to go ahead with a demonetisation drive once again, there are several things it should do, in order to avoid the chaos that the November 8, 2016 announcement caused. 1) First of all, the government should definitely not scrap both the high-value denominations. A lack of Rs 2,000 notes is something the people may be able to survive, but the absence of both notes (Rs 2,000 and Rs 500) will be tough for everyone. A section of the population may be better prepared for another wave of cashlessness, but a huge chunk still isn’t. An RTI enquiry has revealed that the Pradhan Mantri Jan Dhan Yojna has 28.9 crore bank accounts as of July 14. According to an ICE 360° survey from December, 2016, covering 61,000 households 99 per cent of households in both rural and urban India have at least one member with a bank account. But that still does not change the fact that digitisation of currency will not affect people. A bank account neither guarantees availability of accessible branches or ATMs, nor does it account for the section of people unable to use internet banking, mobile wallets and debit cards because of nonexistent infrastructure. 2) The RBI should have a new currency ready to minimise damage caused by cashlessness. A lot of problems emerged during the first wave of demonetisation and the unpreparedness was one of them. Notes were not being reprinted fast enough, bank ATMs did not have the hardware to carry the new notes and haphazard notifications from the central bank did not help any. It is more than evident that black money cannot be flushed out by demonetising notes. In fact, a month into the drive, huge chunks of black money caught by the Income Tax department and the Enforcement Directorate were found to be in the new currency. Additionally, the central bank is yet to give us a figure on how much of India’s estimated cash currency (in Rs 500 and Rs 1,000 notes) have been deposited. 3) There have to be stricter laws about the use of demonetised currency for emergency services. Hospitals, petrol pumps, ration stores and pharmacies should be allowed to use demonetised notes, in case the cash shortage becomes a problem. Too many lives were lost due to mismanagement last time. The government should exercise all forms of caution this time. The Centre is fairly unpredictable. We don't know what they can or will do. But we can speculate. And in terms of a second wave of demonetisation, the signs are abundant. Economic Times reported that there is talk of this in Parliament as well. The Opposition on Wednesday, July 26, in Rajya Sabha asked finance minister Arun Jaitley to clarify whether the government has decided to scrap the newly launched Rs 2,000 note. Jaitley, however, did not respond. Another report says that State Bank of India (SBI) - the country’s biggest bank - has started recalibrating the Rs 2,000 currency cassettes in a few of its ATMs to Rs 500 currency ones so that more cash can be stuffed inside the machines. It was a stop-gap arrangement and now there is enough currency and hence the note should be given the marching orders. 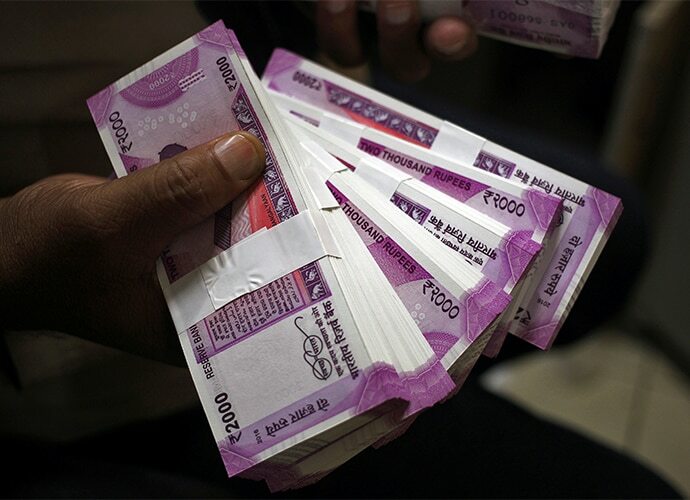 A Mint report quotes an anonymous source (who is aware of the inner workings of the Reserve Bank of India), according to whom, about 3.7 billion Rs 2000 notes amounting to Rs 7.4 trillion had already been printed, when the prinint process was allegedly stopped five months ago. The report also adds that RBI’s printing press in Mysuru has started printing the new Rs 200 notes, which are likely to come into circulation by August. “Initially, around a billion Rs 200 notes are expected to hit the market,” revealed the source. Phasing out the Rs 2,000 note makes sense. It is too huge a denomination, especially when the next biggest denomination is Rs 1,500 away. But there has to be a proper way of doing it. India managed to survive a mindless move once. The country is now stronger and will probably withstand another. But does it still make sense to subject the population to yet another mismanaged demonetisation drive? No.